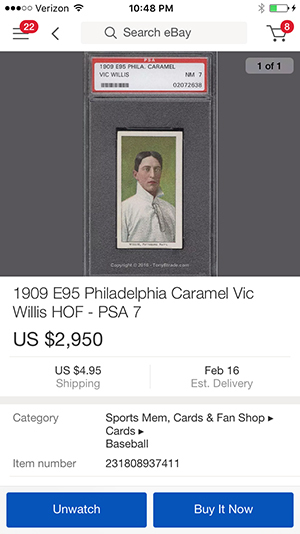 Comments: My first Willis was a T206 purchased in March, 2003 on eBay. 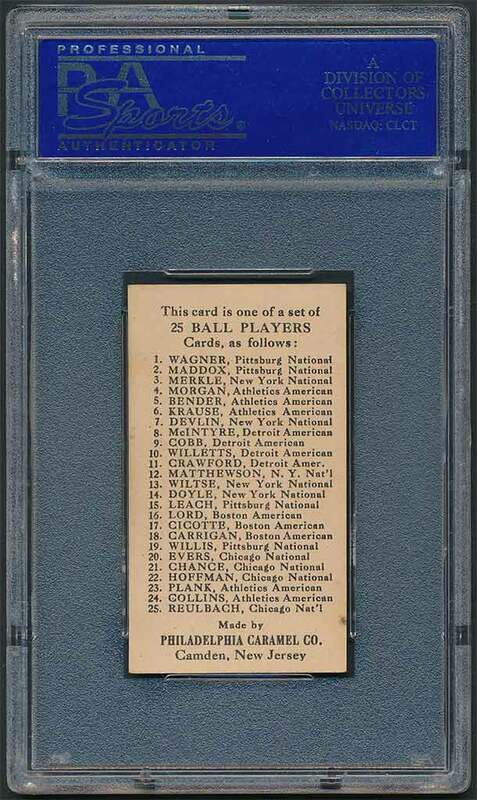 In May, 2004 I upgraded to a GAI 6.5 after a purchase from E&L Sportscards (Larry Gladstone). 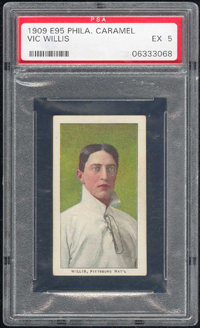 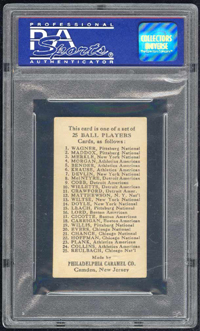 In May, 2005 I replaced the T206 with a PSA 8 1906 Fan Craze card via eBay. 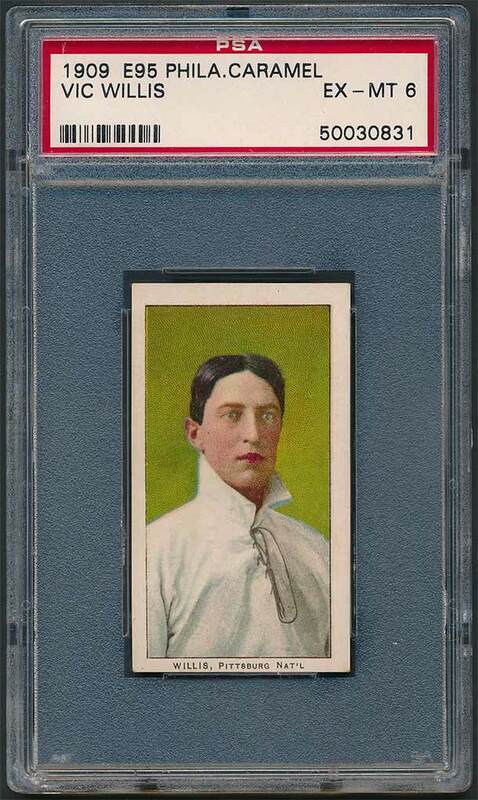 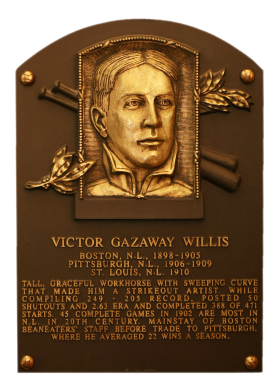 Then, in September, 2005 changed my mind again when I found a E95 Philadelphia Caramel Willis card graded PSA 5 through the Net54 board - the same seller who sold me a E95 Bender a few months earlier. 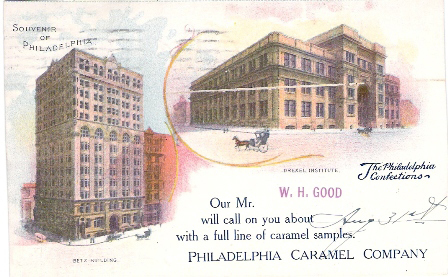 Description: Similar in style to the many other early candy and caramel cards, the set designated a E95 by the American Card Catalog is a 25-card issue produced by the Philadelphia Caramel Co. (actually of Camden, N.J.) in 1909.